Interview for "The Patt Morrison Show"
This Los Angeles NPR station had me on to talk about the "insane, illogical Oscar choices" piece that ran last week on Flavorwire and The Atlantic. Listen to me babble here. Clint Eastwood’s J. Edgar Hoover biopic J. Edgar is out on DVD today, following a fall theatrical run notable mostly for its lack of awards consideration; the film, and particularly Leonardo DiCaprio’s leading role in it, had been the object of much presumptive Oscar buzz (hitting, as it does, multiple circles in the Oscar Venn diagram: slightly villainous, based on a real person, wide range of aging, secretly gay). But the film underwhelmed, for one very simple reason: we’re just getting tired of biopics. The biographical film portrait has been a venerable institution since the early days of cinema; Georges Méliès made a Joan of Arc biopic clear back in 1900. And while there have been scores of great ones, the tropes of the form (the birth-to-death chronology, the trials and triumphs, the romantic struggles, etc.) are so firmly established that the only biographical films that really make an impression any more, it seems, are those that buck the trends and experiment, or at least futz with the form a bit. After the jump, we’ll take a look at ten great biopics that made an impression, and float some theories as to why. We’ll show you how it’s done with the help of some of our favorite directors, including Martin Scorsese, Steven Soderbergh, Stanley Kubrick, Quentin Tarantino, Wes Anderson, Michael Mann, John Frankenheimer, Bryan Singer, John Huston, David Mamet, Peter Yates, Jean-Pierre Melville, Jules Dassin, Sidney Lumet, John McTiernan, Jim Henson, and Frank Oz. And check out our all-star cast: Robert DeNiro, George Clooney, Brad Pitt, Gene Hackman, Robert Redford, Marlon Brando, Catherine Zeta-Jones, Edward Norton, Julia Roberts, Michael Caine, Charlize Theron, Pierce Brosnan, Harvey Keitel, Val Kilmer, Don Cheadle, Matt Damon, Steve Buscemi, Mark Wahlberg, Kevin Spacey, Samuel L. Jackson, Ray Liotta, Danny DeVito, Michael Madsen, Stellan Skarsgård, Tom Sizemore, Vincent Cassel, Owen Wilson, Joe Pesci, Luke Wilson, Sean Connery, Guy Pearce, George Segal, Sam Rockwell, Delroy Lindo, Seth Green, Sterling Hayden, Chris Penn, Mos Def, Lawrence Tierney, Jason Statham, Jean Reno, the Muppets, and many, many more. Find out “How to Pull the Perfect Movie Heist” after the jump. The Oscars are six days away, and you know what that means: only one more week to see every major nominee, in order to appropriately cheer, jeer, and second-guess on Sunday night. 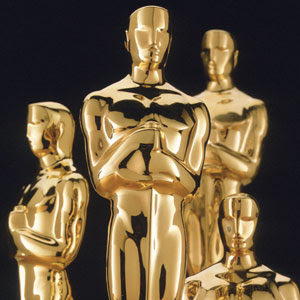 But time has flown in these early months of 2012—we got distracted by the Super Bowl, and then we suddenly had to watch Knicks games, and now, here it is Oscar time. How on earth are you supposed to get through all of the major nominees? It’s easy to go into a tailspin—what do you see? What can wait? What should you avoid, now and forever? Have no fear. Your Flavorwire is offering, as a public service, a priority ranking of the nominees for the major awards (Picture, Director, Actor, Actress, Supporting Actor, Supporting Actress), so you can sift through the 18 nominees and see what time will permit you to see. Let’s be clear: this list is only tangentially related to the actual quality of the films at hand (since, as we’ve discussed, the Oscars often don’t reflect that quaint notion). And it’s not a prediction list per se (that will come later in the week). But it is a guide to working your way through the stuff that’s probably going to matter come Sunday. Sift through with us after the jump. Every Friday here at Flavorwire, we like to gather up the week’s new movie trailers, give them a look-see, and rank them from worst to best—while taking a guess or two at what they might tell us (or hide from us) about the movies they’re promoting. We've got ten new trailers for you this week, including the American Pie sequel (yes, another one) American Reunion, the end-of-the-world thriller 4:44 Last Day on Earth, a new indie featuring (and produced by) Nick Offerman, and the latest effort from the fine folks at Pixar. Check 'em all out after the jump, and share your thoughts in the comments.